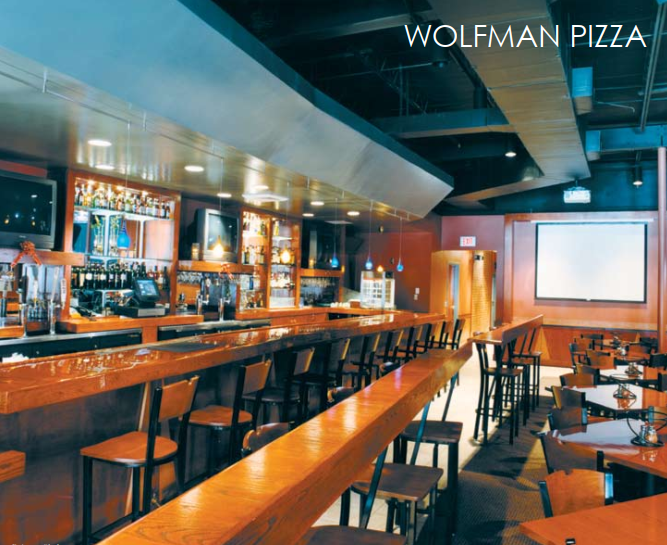 Wolfman Pizza - Carolina Contracting & Investments Inc. 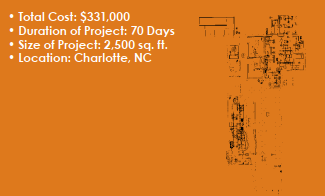 This Myers Park location exudes comfort and elegance not always found in a pizza restaurant. The open ceilings, beautiful wood bar, and rich textures and colors in the seating area make the room feel especially large, open and inviting. The big screen TV on the back wall, combined with plenty of seating room in the front, encourages visitors to pull up a chair and stay awhile.